A ferry collided with a crane at the port of Barcelona on Wednesday (October 31), causing the crane to fall over and start a fire, eyewitness video showed. 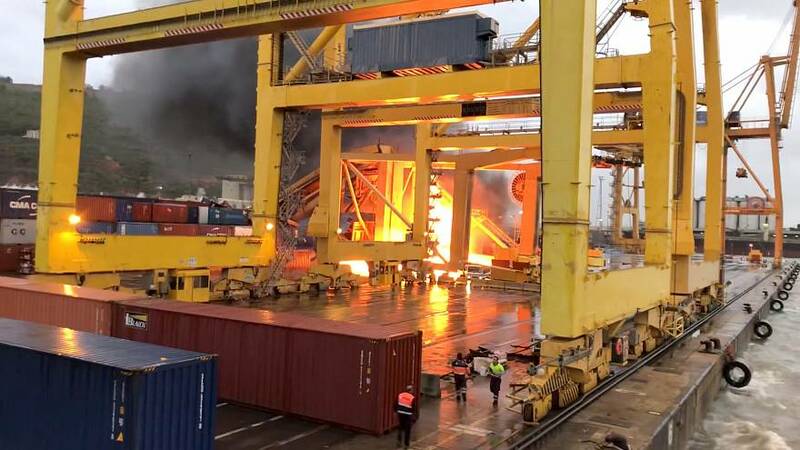 Bulgarian seaman Petar Petrov filmed the ship manoeuvring into port and crashing into a huge crane on the dockside, which then fell over and sparked a fire. Petrov filmed the collision from a moored vessel about 100 metres away at around 8 a.m. local time (0700 GMT). He told Reuters the weather had been bad and suggested that strong winds could have made it difficult to steer the ship. Local media reported the ship was a passenger ferry and that nobody was injured.